First mooted in the Italian press last October as an order for six 130,000-ton €700 million ships for Norwegian Cruise Line, announcement was made last week for four, with an option for two more, 140,000-ton ships of a slightly larger size and cost. Elsewhere, there has been more news of approved US sailings by mainline cruise lines to Cuba and from London comes news of a potential new super yacht to be called Quintessential One. Although the rumours started last October, Fincantieri finally announced last week an order from Norwegian Cruise Line Holdings Ltd for four new generation cruise ships with an option for two more, for its Norwegian Cruise Line brand. The value of each ship is approximately €800 million, with one ship to be delivered annually from 2022 to 2025, stretching to 2027 if the options are exercised. Italian finance, together with a pool of export credit lenders, have played a crucial role in the success of the order and the shipowner’s decision, giving Fincantieri the chance to offer an attractive technical, commercial and financial package, subject to final conditions. At about 140,000 tons and 980 feet in length, these ships will form the backbone of the future NCL fleet, accommodating 3,300 guests. A retreat from recent 4,000-berth ships, they have more than 20% less capacity and being of smaller size they are much more flexible ships in terms of itinerary planning. They will likely also ultimately replace some of Norwegian’s older ships. The order is based on a prototype project developed by Fincantieri, designed for Norwegian’s Freestyle cruising requirements. Some have suggested this might be a development of Fincantieri’s earlier Mille class development with engines midships while others suggest a development of the MSC Seaside design with the addition of Norwegian’s well-known Waterfront restaurant and bar complex on each side of the ship. Frank Del Rio, president and ceo of Norwegian Cruise Line Holdings Ltd, announced that “this new class of ships will continue Norwegian Cruise Line brand’s legacy of introducing meaningful innovation to the cruise industry. This order continues to highlight our disciplined newbuild program, extends our growth trajectory well into the future, enhances our already attractive earnings profile and drives expected long-term returns for our shareholders”. Bono added that “We are very proud of the project for these ships: we developed it internally and we presented it to the shipowner, which appreciated it so much to order an entire class”. 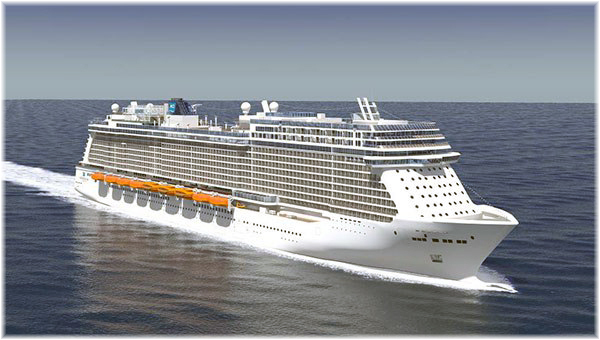 These will be the first ships to be built by Fincantieri for Norwegian, although Norwegian Cruise Line Holdings also includes the Regent Seven Seas brand, to which Fincantieri delivered the ultra-luxury Seven Seas Explorer in 2016 and is now building a sister ship with delivery expected in 2020, as well as Oceania Cruises, for which Fincantieri built the 1,250-berth Marina and Riviera in 2011 and 2012. There was concern that the new regime in the White House anxious to build walls would re-chill relations between America and the island ninety miles off its shores. And questions also remain about whether Cuba’s infrastructure can be ready for a flood of new tourists. 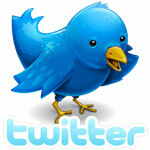 But recently we have answers in a series of new announcements. Carnival Corp & plc is closing its own line called Fathom and decided to send the line’s single ship, the 700-berth Adonia, back to Europe. Carnival had by then requested approval from Cuba and has now obtained permission to sail there this year. The 4-day cruises depart July 13, August 24, September 7 and 21, and October 5 and 19, 2017 with more to follow in 2018. 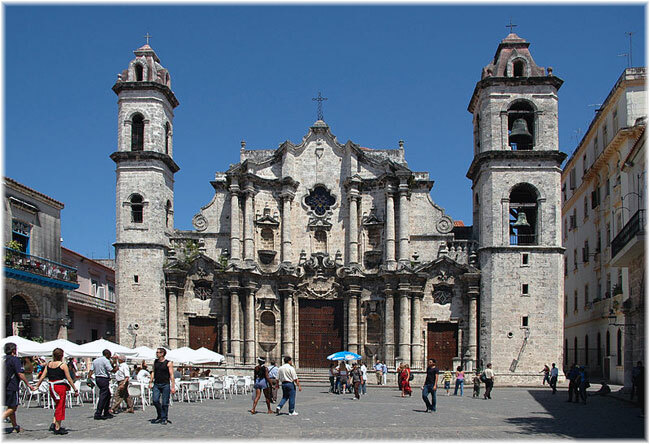 These cruises include a daytime and overnight visit to Havana. The 5-day voyages will be offered later in the year. 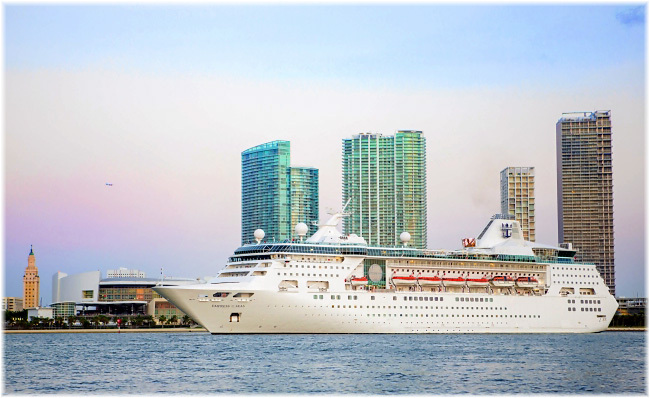 Royal Caribbean International had already announced expansion through November of its Caribbean itineraries on the 2,252-berth Empress of the Seas sailing from Tampa, including new 4- and 5-night cruises. They too will feature day and overnight visits to Havana, along with stops in Key West and Cozumel. Royal Caribbean has partnered with shore excursion providers to include tours in classic 1950s cars to stops in the Malecón waterfront and the old city. Evening tours include visits to the famous Tropicana Club. 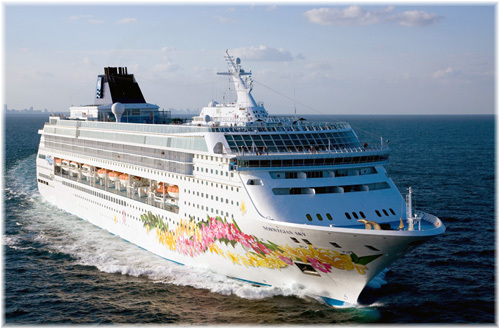 Norwegian Cruise Line said it will extend its offering of weekly round-trip cruises from Miami to Cuba aboard the 2,002-berth Norwegian Sky, the largest vessel sailing from Miami to Cuba, through December 2017. Previously, it had announced just five cruises for May 2017 but starting in June, 4-night cruises from Miami every Monday will feature an overnight in Havana as well as a call at Norwegian’s private island in the Bahamas. Oceania Cruises has also added a series of Havana calls on cruises of the 1,250-berth Marina this spring and more recently has added an additional series of journeys to Cuba in the autumn on the 684-berth Insignia. Ranging from 6 to 13 days with departures from Miami in November and December, these four cruises will include the line’s first calls at Cienfuegos and Santiago de Cuba, in addition to Havana. This brings the total of Cuba sailings for Oceania to seven. Meanwhile, MSC Cruises has announced that its 1,756-berth MSC Armonia will join sister ship MSC Opera operating out of Cuba. Celestyal Cruises also bases its 966-berth Celestyal Crystal in Havana. What could become the world’s so-called largest private yacht has been making the news in UK and other newspapers last week, with news of the planned 722-foot 45,800-ton Yran & Storbraaten-designed Oce Class 1A yacht Quintessential One. Petter Yran and Bjorn Storbraaten have been involved in luxury ship design since the first Sea Goddesses through Seabourn, Silversea, Regent, Oceania and Hapag-Lloyd Cruises. Olso-based Yran & Storbraaten last year became known as YSA Design. The planned yacht has been under development since 2010 and has succeeded in attracting five billionaire friends as backers. The unnamed billionaires will each contribute €10 million towards the cost of building the €250 million luxury yacht. In exchange, each will receive a suite. The prices of residences will range from €8 million to €12 million. No order has yet been placed, but the new yacht will be equipped with a dozen such triplex residences atop the ship. The remaining €250m will be financed by concierge services company Quintessentially, which will operate the vessel as a private yacht for its own membership. Membership begins at about £15,000 a year and the club has its own Russian members section. As well as hosting parties, the yacht, which was first planned to launch in 2013, will operate as a 508-bed hotel, with a restaurant run with the Mayfair institution The Wolseley. The cost of a suite for the night will start at about £2,000, and suite sizes will vary from 430 and 645 sq ft to 1,075 sq ft, offering wealthy clients the chance to tour the globe and call at glamourous events such as the Monaco Grand Prix and the Rio Carnival. Quintessentially was founded in London on 2000 and by 2010, the company was estimated to have about 86,000 subscribers, including 800 billionaires. In 2015, the group’s turnover was £65million. Its global concierge team of 2,000 Lifestyle Managers in over sixty offices worldwide speaks more than thirty-five languages.